Today a paper-form or a mobile app requiring manual input is still highly used for traffic surveys. This article provides an overview of the development of the methods and technology used, from manual surveys, surveys using technical devices to surveys conducted by intelligent software services. Recently I have visited the conference “Traffic Behaviour in Data” organized by Transport Research Centre of Czech Republic, where traffic and transportation experts revealed their problems, methods and successfull case-studies on this topic. In this article I am summarizing my notes and inspiration from the conference, especially regarding the traffic data collection as the first mandatory stage for traffic analysis and modelling. There are 500 million surveillance cameras worldwide, producing 15 billion gigabytes of data weekly. This number doubles every 2 years and it is obvious that today, and in the future, most of the recorded camera footage will not be reviewed by human eyes. It is far beyond human capacity to do so. Traffic surveys aim to capture data that accurately reflects the real-world traffic situation in the area. It may be counting the number of vehicles using a road or collecting journey time information for example, but there are many other types of data that traffic surveys collect. Modeling of minor changes in the city’s transport network like closures, new sections, capacity changes, etc. 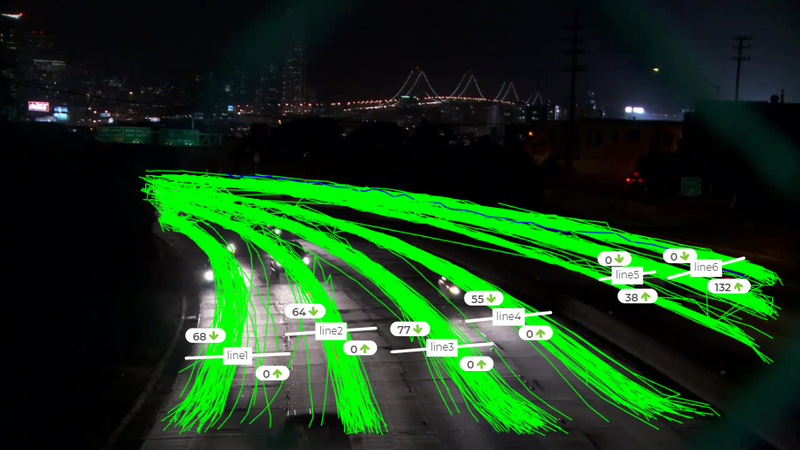 Traditional methods of collecting traffic data include human surveyors in terrain or from a video, invasive techniques using magnetic or piezo-sensors, radars and also the simple forms of image analysis using machine vision. The most frequent traffic surveys include profile surveys to determine traffic intensities on a specific traffic profile with vehicle resolution on the category and the direction of movement. In addition, there are directional surveys on intersections, where the aim is to find out the intensity of vehicles in each traffic movement. Traditional solutions include human counters, pressure hoses, piezo-electric sensors, radars or custom HW image analysis appliances. Often used manual counting method using humans is to write to a prepared paper form where you can distinguish between couple of vehicle categories, the direction of the vehicle or the lane, sometimes also in a preselected time intervals (e.g. 60 minutes). The progress from the paper method is currently the use of a mobile app which incorporates the time intervals automatically and prevents human surveyors in faking the counts during their lunch pause or so. Among the technical methods, there are various types of invasive hardware traffic counters designed to track single to two-band communication, pressure hoses, microwave radars, which are designed to monitor intensities on multi-lane communications, etc. When this type of technical metod is used, there is often necessary to assign people to protect the device from stealing (would you believe that? ), which makes the method expensive and organizationally uncomfortable. The manual method is a paper form and recording only pre-specified directions using multiple human surveyors for each direction in the field, or the use of video footage . The technical methods mostly utilize a camera monitoring system located at a height above the communications and the footage is then processed using the automatic post-analysis of the video. Manual survey methods require the presence of personell — counters, supervisor, organizer, quality controller. From the point of view of staffing, they are highly demanding. On a one-way communication profile, one person is required for each lane, and this number should be increased if the traffic load is high. When counting traffic from the video, depending on accuracy required, each hour of video footage is reviewed in up to 3 hours. Subsequent transcriptions of data from the form into electronic form require additional time as well. Human surveys are suitable for a shorter period of time — up to 12 hours. Accuracy achieved by manual methods is between 70% — 95% depending on the effort invested and is greatly affected by length of survey, time of desired delivery of results, fatique of the staff, etc. The error rate is therefore changing in time. With technical devices or automated collection systems it is possible to obtain also the data on speed, transit time, length and exact time of the passing of individual vehicles, which can then be used for more detailed analysis. With single-purpose sensors, the vehicle category is often determined by its length in a profile survey so it is strongly advisable to realize a calibration check. Also, one person’s supervision is appropriate for each device. With modern artificial intelligence based systems, the vehicle categories are determined by analyzing it’s visual appearance. These devices can be easily used for directional intersection surveys. The advantage is that surveys can be conducted in any time interval and these systems are capable of classifying all categories of vehicles including bikers and pedestrians at pedestrian crossings with a single device — a camera. Accuracy achieved by automatic artificial intelligence methods can be constantly above 95%. This accuracy is affected by the quality of the input data to the system — e.g. the video footage. All of the limitations of methods described above are leading to infrequent analysis or analysis based on small samples or outdated data. The organization’s ability to respond to needs is therefore limited by existing data collection and evaluation techniques. If the data are missing, there is an option to estimate traffic volume across the entire road networks using a mathematical model. But is it accurate? Are cities and organizations really making decisions with 30-years implications based on potentially poor data? Anyway, technical devices should be used if there is a requirement for high data accuracy — so which one to choose? Accuracy — Counter — a person is subject to stress, fatigue, and his biological needs. These factors affect data quality. In the manual method, attention span of a counter decreases with the length of the survey, and thus the error rate is increasing. The sensor-based technical methods are not subject to these influences. Its downsides however are above all in the cost of its purchase and maintenance. For technical devices, a certain acceptable error rate is constant. Expenses —In the case of extensive surveys on multiple locations at one time, it is necessary to consider the financial difficulty of purchasing of technical devices that is worthwhile only if repeating such surveys. In the case of it is a one-time survey however, it is financially disadvantageous to purchase and deploy all necessary equipment. Purpose of the survey — With most traditional methods it is necessary to determine up-front what data we need to measure and what it will be used for. Manual counters are not able to capture complicated traffic patterns or advanced data like transit time. They also fail at surveying pedestrian footfall or bicycle traffic. Traditional technical sensors are able to capture more complicated traffic patterns, however often mutiple sensors are needed to capture various types of traffic attendants at once. In conclusion, current data collection methods on traffic and transportation infrastructure are generally inefficient. They are either resource-intensive or time-consuming, providing single-purpose data only, are expensive and complicated to organize/operate. Based on the description above, it is possible to conclude that it is most advantageous to use the systems based on artificial intelligence combining existing camera equipment, multimodal counting capabilities, complex traffic patterns monitoring and constantly high accuracy. The need for robust data on the transportation infrastructure in the city is paramount to better understand performance and improvement needs and support informed and effective investment decisions. With advances in artificial intelligence and computing capacity, there is a significant opportunity to understand infrastructure performance in a short time and to respond to any questions on transportation issues with much more detail than in the past, at a much faster rate, and in a cost-effective manner. 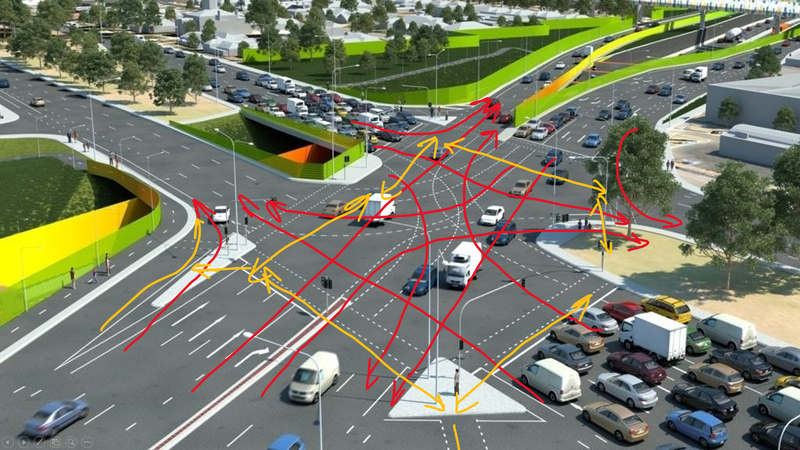 This technology allows traffic engineers to do things in the same way as hi-tech corporations. Daniel Stofan is a co-founder and CEO of GoodVision — a company devoted to innovate the ways of traffic data collection. Our product GoodVision Video Insights is the autonomous traffic data collection cloud service providing highly reliable traffic data from standard surveillance cameras via Artificial Intelligence. It provides advanced data analytics, data visualization and managerial reporting — all in a single platform covering the whole process of operation from data collection to decision making, with 1-hour delivery of results.